Two days before my scheduled due date I was honored with one of the inaugural Ocean Awards from the Blue Marine Foundation & Boat International. The Blue Marine Foundation, the UK’s most dynamic marine conservation charity, and Boat International, the world’ leading superyacht media company recently teamed up to create a series of awards to celebrate individuals, companies, legislators and projects that have made an outstanding contribution to the health of the oceans. Other award winners included Pharrell Williams, Rob Ruiz, Emily Penn and Oliver Letwin, individuals singled out for their unique conservation efforts from the creation of recyclable fashion, the development of sustainable seafood cuisine and significant marine protected area lobbying. The category I was being honored in was Science- ‘Piece of science or paper that made the most original, important or insightful contribution to ocean conservation’. They chose to recognize the work I have done to protect manta rays globally, most notably my team’s research efforts and campaign work that led to the listing of reef mantas on the Convention of Migratory Species (CMS) in 2014 and the listing of all Manta species on CITES (Convention on the International Trade in Endangered Species) in 2013. The inclusion of all Manta species on the appendices of CITES and CMS is helping to secure increased protection and management for these threatened ocean giants across the globe. These landmark victories represented a 10-year struggle by many individuals and organizations determined to protect manta ray populations before they went regionally extinct throughout much of their range. Due to my condition I was sadly unable to attend the awards dinner on the 13th of Jan but I was delighted to be included in such a prestigious line-up and congratulate Blue Marine and Boat International on the creation of such a wonderful new award program with such important and creative categories. I have been waiting a long time for this announcement to be made so it was a welcomed Christmas present (only a few days late) when the Peruvian government declared that they intend to prohibit the capture, transport or sale of giant manta rays in their waters. This announcement was particularly important to me as my team and I have been studying this large regional population for the last 6 years in southern Ecuador. Having confirmed early on that it is by far the largest population of giant manta rays in the world (check out the impressive numbers on the global Manta Matcher database), this region quickly became my Mecca. Each year I would make the annual pilgrimage from wherever I was at the time to spend a few months in southern Ecuador studying these massive giant rays, which can reach almost 7 meters in this region. To say that I have become incredibly attached to this population during the time that I have been working in Ecuador would be a serious understatement. Funding from the Save Our Seas Foundation eventually enabled me to start satellite tagging these giant rays and our team was shocked to learn that they not only regularly migrate south into the waters of northern Peru but that they were being killed and harvested there. Having lost even some of the individuals that we had tagged, I swiftly realized that until Peru decided to protect these rays in their waters as well, all of the progress the Ecuadorian government had been making toward the comprehensive protection of manta rays in their country would be pointless. 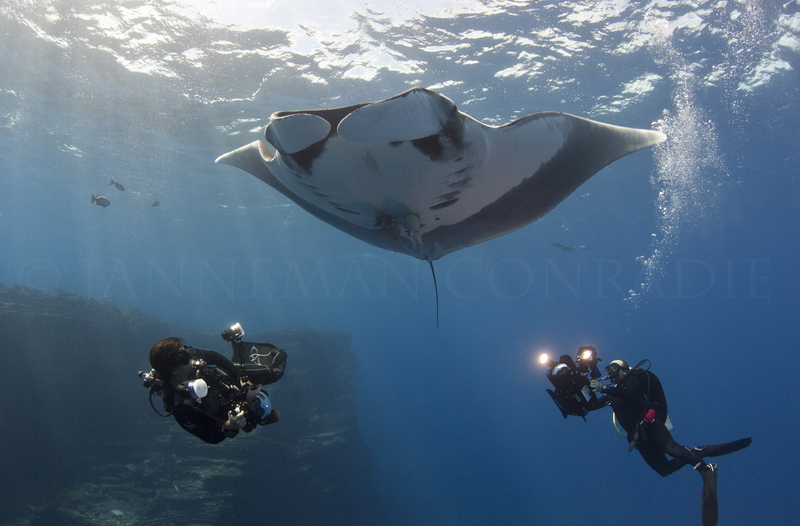 So the New Year announcement was a very important step for manta conservation in the region. 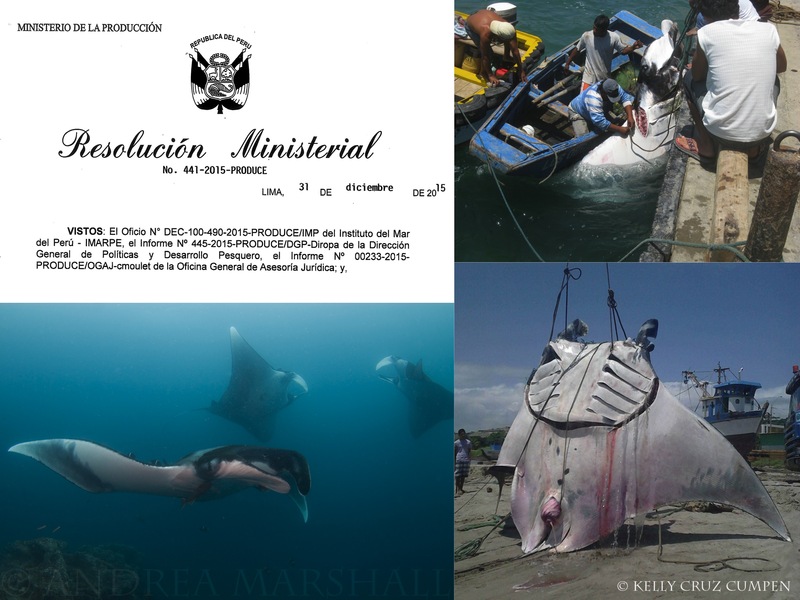 The newly approved Ministerial order is pretty all-encompassing, calling for giant manta rays to be protected throughout Peruvian waters- not just prohibiting the extraction of the rays with any type of fishing gear but prohibiting the disembarkation, transport, sale or commercial use of these vulnerable species in the country. The order maintains that even if mantas are incidentally captured by fishermen they must be immediately returned to their natural habitat, unharmed if possible. Further they recommend that precautionary management efforts be developed to further safeguard the rays from anthropogenic threats in the region. It is wonderful to see genuine momentum towards the regional protection of this incredible manta ray population. It is also nice to see global conventions like CMS (Convention for Migratory Species) and CITES (Convention on the International Trade in Endangered Species) really influencing government to take action. Congratulations to all involved in making this new protection a reality. What an encouraging way to start the year! “My team and I are extremely proud to have generated legal action for the protection of giant oceanic manta rays in Peru through this Ministerial Resolution. We thus highlight our commitment to promote positive change within our fisheries sector. Our ultimate goal is to achieve sustainable fisheries and sustainable consumption in benefit of future generations,” – Jesús Eloy Barrientos Ruiz, Director of Supervision and Fiscalization of the Ministry of Production. 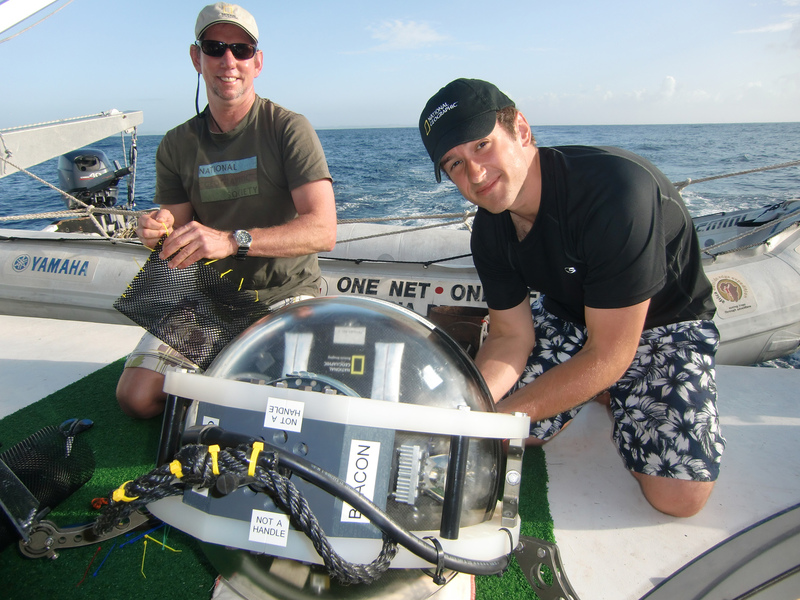 A new scientific study out in PeerJ this month premiers a novel means to collect DNA from the largest ray in our ocean using…wait for it….a toothbrush! Dr. Andrea Marshall, principal scientist of the Marine Megafauna Foundation’s global manta ray program, developed a technique to capture mucus from the skin of these gentle giants that will limit the need to do more invasive prodding of the animals in the future. Capturing DNA to study these gentle giants usually involves taking a muscle sample or a fin clip. Compelled by her love for these animals and her growing concern for overly invasive research on wild marine animals, Andrea and her team set out to explore new ways to capture DNA, using these massive rays as a test subject. Amazingly using an ordinary toothbrush proved to be the most successful way to remove and capture the mucus she was after. Andrea and her team now spend their dives carefully scrubbing the backs of mantas, as a means to better study and protect them. As if drawn by the promise of tactile stimulation these enormous fish literally pose for them as if waiting to be scrubbed clean. This study, which successfully demonstrates that DNA from mucus can be reliably used for PCR-based population genetic studies, is a breakthrough that offers tantalizing new options for researchers studying other threatened species of sharks and rays! In their new revelatory series, BBC hinted that sharks should move over and share the spotlight with rays for a change!!! BBC ‘Sharks’, which premiered on BBC One on May 7th, has proven to be one of the most exciting and realistic looks at this notoriously maligned group of animals. Putting aside the sensationalized hype about sharks and rays, from JAWS inspired accounts of sharks attacks to Steve Irwin’s untimely death from a stingray injury, BBC’s acclaimed Natural History Unit spent two years and over 2600 hours underwater on this show in order to bring authentic stories of sharks and rays to viewing audiences around the world. The result is a collection of enchanting features about these incredibly well adapted, impossibly diverse and seemingly intelligent fishes that will leave you spellbound. Packed with facts, cutting edge scientific discoveries, and features on some of the scientists pushing the envelope on what we know about these incredible animals (including yours truly) the series is one of the best accounts of sharks and rays to date. That they were smart enough to incorporate rays, due to their close evolutionary relationship with sharks and their equally dire conservation statuses, is a tribute to BBC’s throughout dedication to these animals and their uncertain future. It is so refreshing to see government taking action against illegal wildlife traffickers. Too often legislative protection amounts to little more than ‘paper protection’ with negligible enforcement efforts being made on the ground. This is not the case as a major bust at Tanjung Luar, one of the biggest landing sites for manta rays in Indonesia, results in one of the kingpins of the trade being brought to swift justice. The bust, a collaborative effort of Wildlife Conservation Society and Indonesia’s Ministry of Maritime Affairs and Fisheries resulted in the seizure of 220 lbs of manta ray gill raker and 50 lbs of manta ray cartilage. Shortly after 485 lbs of gill rakers were confiscated as they were being transported on an Air Asian flight to Hong Kong. These represent the biggest busts in Indonesian history and sets the scene for zero-tolerance after Indonesia declared a nation-wide ban on manta ray fishing back in early 2014, in essence creating the world’s largest reserve for the threatened species. I could not be more pleased with the dedication on the people on the ground in Indonesia at the moment and I can only hope that this vigilance continues until the trade collapses entirely. 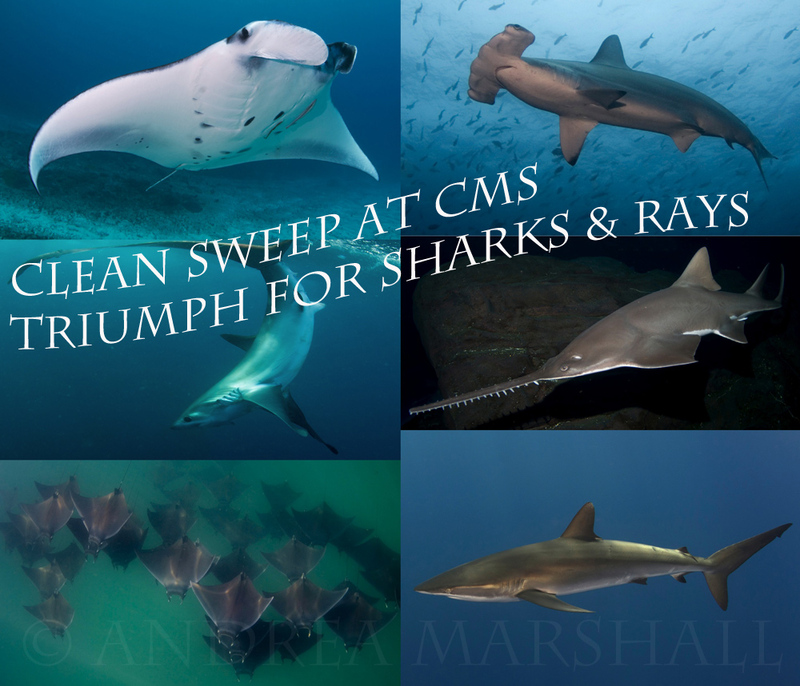 Global momentum for elasmobranch conservation continues with a clean sweep at the CMS Conference of the Parties (CoP) in Quito, Ecuador today, as all 21 proposed species of threatened sharks and rays are successfully listed on the appendices of CMS. In summary, all five sawfish species, all nine species of Mobula (devil rays), and the reef manta ray have been listed successfully on Appendix I & II, which should bring about stricter protections for these species globally. Two species of hammerheads (the great & scalloped), all three thresher shark species (the bigeye, common and pelagic), and the silky shark have been awarded CMS Appendix II listing, which should encourage increased regional cooperation for their conservation. 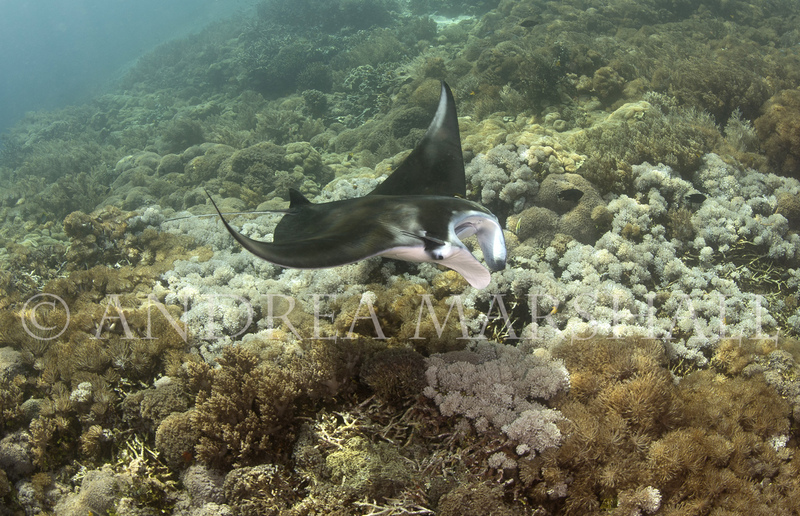 We have been extremely concerned about the reef manta since our team documented a swift and significant 88% decline in observational sighting records of Manta alfredi at one of the most important aggregation areas for this species in the Indian Ocean. This local artisanal fishery for reef mantas in Mozambique predominantly uses resulting products domestically and operates at a much smaller scale than more organized fisheries for manta rays being monitored other parts of the globe. The implications of this study should be obvious and show the swift and devastating effects even small-scale fisheries can have on even relatively large populations of this species. 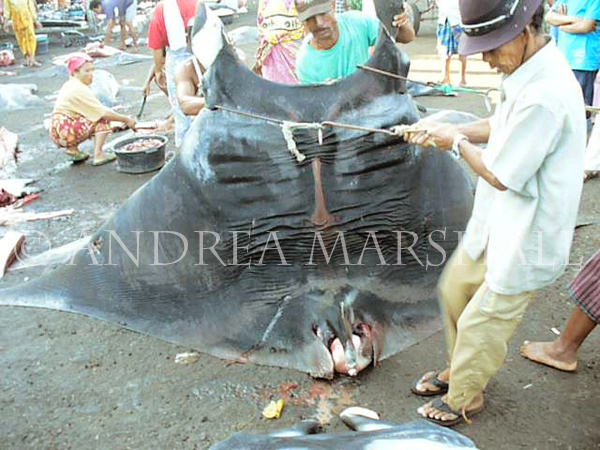 While international trade issues have been recently addressed with an Appendix II listing on CITES, domestic harvesting of Manta alfredi within range states is still an issue that threatens the survival of the species. This CMS listing will now encourage its protection within range states, prompt better management of populations and help to facilitate much needed research. See our full press release or read about this week’s exciting events in my blog entry. The new study in Plos One, which is the first of its kind to use ‘Manta Matcher’ the world’s first, open access, global online database for manta rays, demonstrates the effectiveness of citizen science fuelled research, opening the door for similar studies on migratory species. Online Wildbook databases, like ‘Manta Matcher’ are helping to propel scientific research to a new level by encouraging public participation and integrating novel pattern matching algorithms that allow researchers to automatically scan photo entries for global matches (think FBI fingerprint database!). At its core, the intention of ‘citizen science’ is to bridge the gap between field researchers needing data and an enthusiastic army of citizens with the capacity to deliver information. “Manta Matcher’ stands to revolutionize manta ray research by both centralizing data and tapping into a much broader base of contributors, namely the SCUBA diving community around the world. 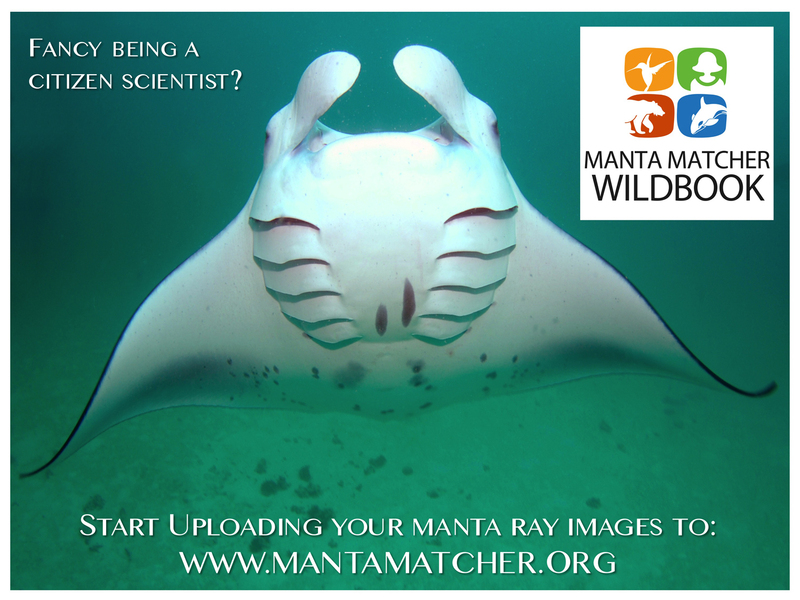 Still in its infancy, Manta Matcher is already helping biologists store, organize and utilize their manta ray data. It is also helping to facilitate much needed international collaborations between researchers – evidenced by this recent publication. The ultimate goal of this initiative is to track global trends, bolster ecological knowledge of manta rays, and gain a broader perspective of the species immediate conservation needs. This study represents the first regional study of the movement patterns of reef mantas in Indonesia. 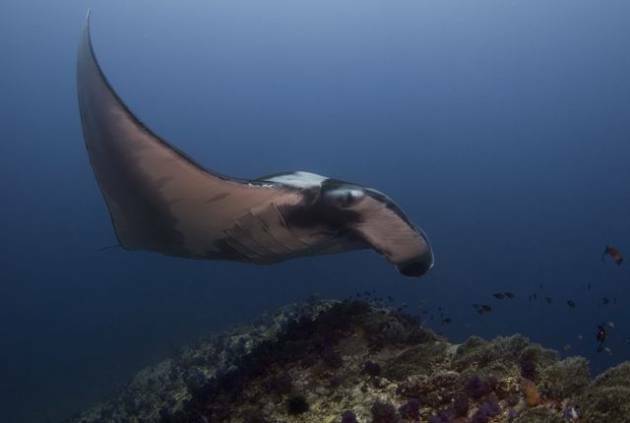 Despite the creation of several designated manta ray sanctuaries in the country and a national wide ban on fishing, reef manta rays are still under threat in the country. The authors hope that this manuscript will provide the impetus for more comprehensive management of manta populations in Indonesia, while also providing much needed data to policy makers globally. Sick of sensational and highly unrealistic shark shows on TV? I am. So I was delighted when the BBC contacted to help them film a segment for their upcoming documentary series called ‘Shark’. The first two episodes will be a dazzling blue-chip special on the diversity and wonder of sharks and rays and a look into the secret lives of these extraordinary animals. Episode three will explore the human connection to these misunderstood animals and feature the ground breaking research of six scientists working to enhance our understanding of key species in a bid to accelerate their global protection. 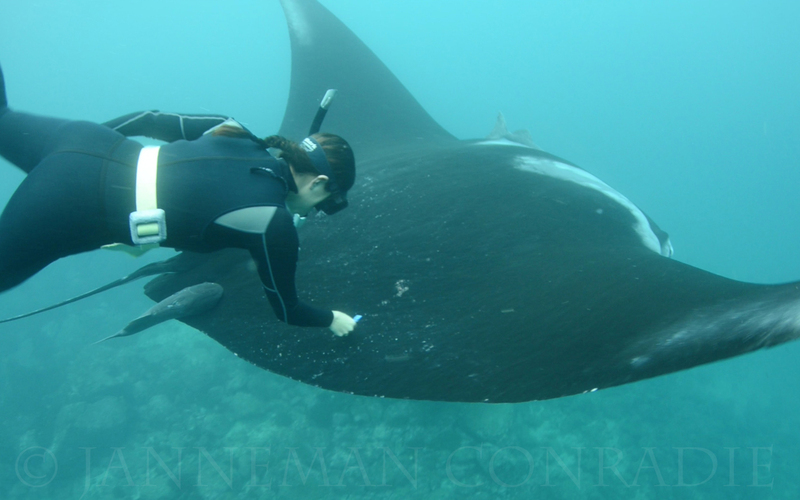 For my part I chose to focus on my work on the social behaviour of manta rays. For years I have been working to understand more about curiosity and intelligence of manta rays, one of the most charismatic and enchanting fish in the ocean. I have always been dumbfounded why the public gravitates more to mammals than other groups of animals. Fish don’t often strike a chord with the viewing public and I for one am determined to change that. With all of the negative or sensational media out there about sharks these days, it was refreshing to be apart of a production which is exploring the true nature of these animals, what they really mean for our oceans and to us personally as humans. Being able to host National Geographic in my home Province of Inhambane Mozambique was one of most humbling experiences of my life. I was so excited to show the team of scientists and filmmakers what southern Mozambique really has to offer. Pristine Seas is an incredible initiative, the brainchild of Enric Sala one of National Geographic’s explorers in residence. In summary, the ambitious project aims to help protect some of the last pristine marine regions of our planet. This combined exploration, research and media project has the ambitious goal of visiting and helping to conserve two dozen or so of the most pristine marine habitats around the world. The fact that they selected southern Mozambique as one of these areas is a testament to its ecological significance and the urgency behind MMF’s efforts to protect it. For one month the team navigated from south to north exploring and documenting the inshore reefs and the animals that call this coastline home. Scientists from around the world marveled at the diversity and health of our coral, fish, and marine flora (from kelps and macro algae to sea grass). Mostly however I think they realized the importance of this area to marine megafauna species, namely the dugong, manta rays, whale sharks and sea turtles which all find refuge along this wild coastline. There are not many places in the world that harbour so many populations of ocean giants in one centralized area, as a result this coastline is like the marine Serengeti of Africa! Read more about the expedition on the National Geographic site! On March 11th by a landslide vote manta rays became one of the first ray species in history to receive CITES protection. Even though manta rays clearly met the criteria for Appendix II listing, this was a shocking victory with it being traditionally very difficult to list fish species. But this campaign which was largest fuelled by passionate NGOs like ours was also supported by the CITES Secretariat, the IUCN and TRAFFIC. The FAO Expert Panel itself noted trade as an important driver for the targeted fisheries of manta rays and highlighted the current lack of management at regional and international levels as problematic for Manta populations across their respective distributions. CITES can help to reverse this trend by providing the framework necessary for increased monitoring and regulation of trade. At minimum, a CITES Appendix II listing requires that exports be derived from sustainably managed fisheries that are not detrimental to the status of the wild populations that they exploit and there are no current trade fisheries for this species that can demonstrate this sufficiently. While CITES will not protect manta rays at a national level, it is likely that with the support of CMS and now CITES, many countries will choose to protect their manta rays with appropriate legislation in the future. Click here to listen to my audio blog from Bangkok on the day it all happened! I am proud to announce the launch of Manta Matcher (www.mantamatcher.org), the first global online database created in conjunction with Ecocean USA (now Wild Me). After years of development my dream of creating a global database used by manta ray researchers around the world has finally arrived. Manta Matcher will be the first formal collaboration by scientists around the world to study the biology and migratory behaviour of manta rays. With each photo, the global database will grow and slowly pieces of the puzzle will start coming together. Together we can solve the mystery of where they travel, how old they get, and how large the global population really is. After a two-year collaboration with Chris Town, a professor and mathematician from Cambridge University, we have developed a specialized matching algorithm that will allow users to automatically match new entries against those in the existing database. This will really cut down on the time it takes to match individuals within a database and will hopefully encourage researchers from different regions to cross-reference their databases. 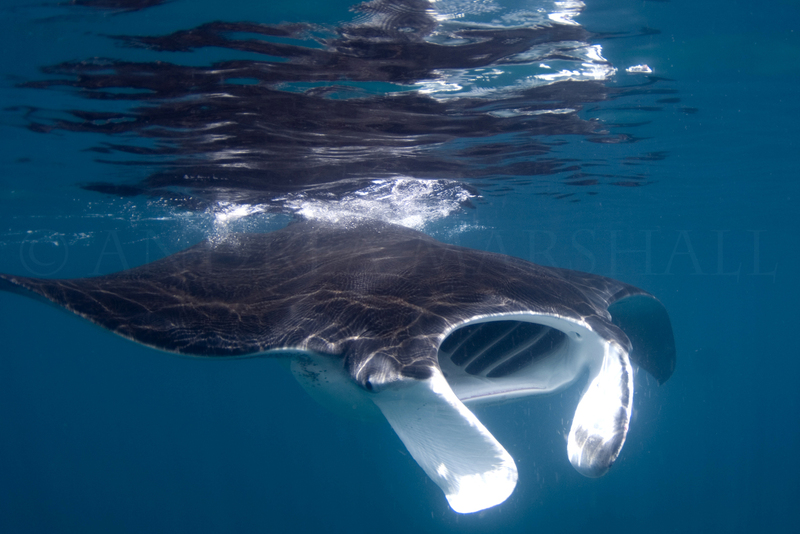 Manta Matcher was developed by the Marine Megafauna Foundation and Wild Me as part of the Sheppard Project. To date, six major research organizations have demonstrated their support for this initiative and countless members of the public are now uploading mantas from across the globe. To learn how you can contribute please click here for more information. Focal points from around the world meeting in Bergen, Norway at the Convention for Migratory Species CoP voted unanimously to protect the giant manta, Manta birostris, a proposal that was put forward by the Ecuadorian Government. Manta rays, which were only recognized as two distinct species in 2009, were listed as globally threatened species in 2011 for the first time by experts from the IUCN Shark Specialist Group in recognition of the increased threat they face around the world. 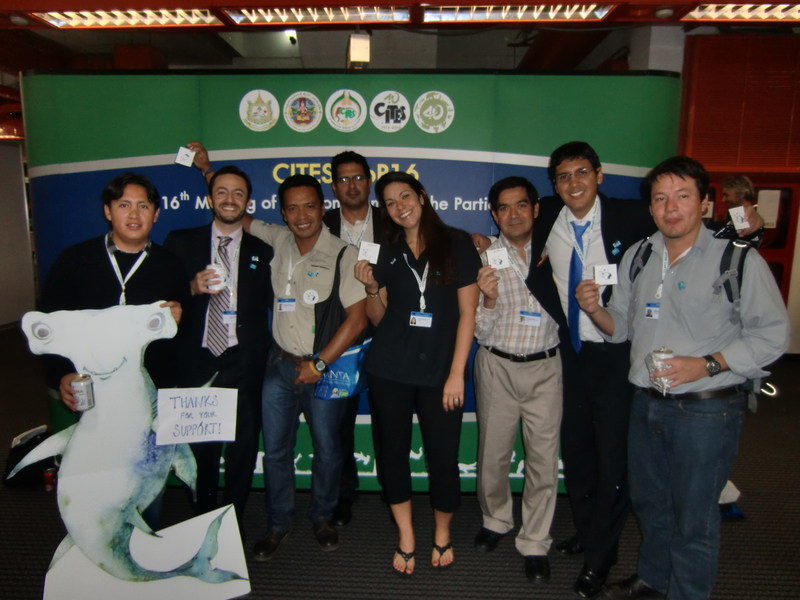 While Manta alfredi was not proposed for CMS listing by Ecuador, this species faces similar threats internationally, many Parties voiced their support for their listing at the next Conference of the Parties, in 2014. CMS is an intergovernmental treaty formed under the United Nations Environment Program with conferences taking place only every three years. The November 25th decision marks the first international agreement to protect the giant manta ray. It is also the first time a ray species has been listed on CMS and one of the only shark or ray species to be approved for both Appendix I and Appendix II level protection. CMS Appendix I, reserved for species that are threatened with extinction, obligates CMS Parties (currently numbering 116) to strictly protect the animals, conserve and restore their habitats, mitigate obstacles to their migration, and control other factors that might endanger them. CMS Appendix II includes migratory species that would significantly benefit from international co-operation for which CMS encourages global and/or regional agreements and concerted action. To see the full MMF press release please click here. After several years of dedicated research around the globe my team and I finally released our controversial paper describing a second species of Manta. 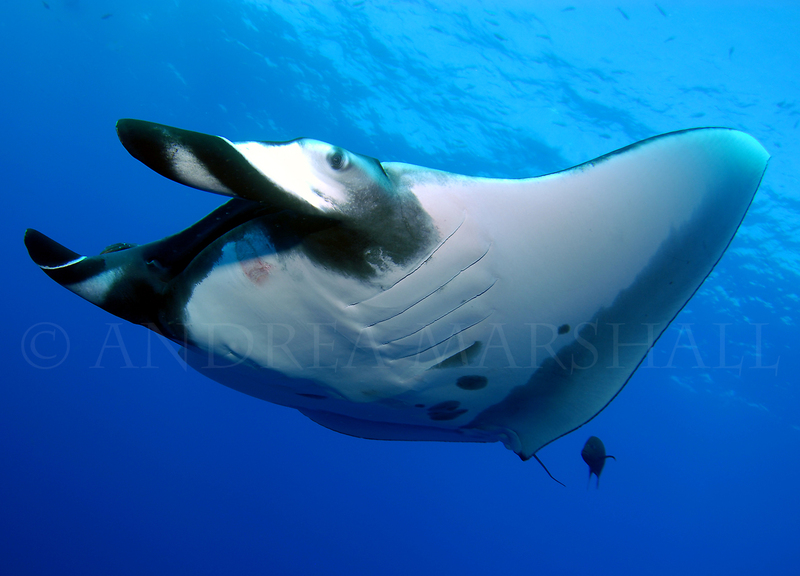 Having officially split the long-standing monophyletic genus into two visually distinguishable species, the giant manta (Manta birostris) and the reef manta (Manta alfredi), in the peer-reviewed scientific taxonomic journal Zootaxa, we also presented data on the distribution of these species throughout the world’s oceans. Not surprisingly the different species prefer different habitats and are mostly distributed allopatrically (separated) across the globe. Only in several key locations do they live in mosaic sympatry (close proximity) within a region/country and only in southern Mozambique do we see them sharing the same habitat on a regular basis. In the paper we also proposed a third putative species of Manta in the Gulf of Mexico and the Caribbean, which may be a regional endemic, and we will follow this hunch up with more focused research in the future. Our team is also hard at work producing papers differentiating the species of Manta genetically having amassed one of the largest genetic libraries in the world. To read more about this discovery please click here for access to the full scientific paper.